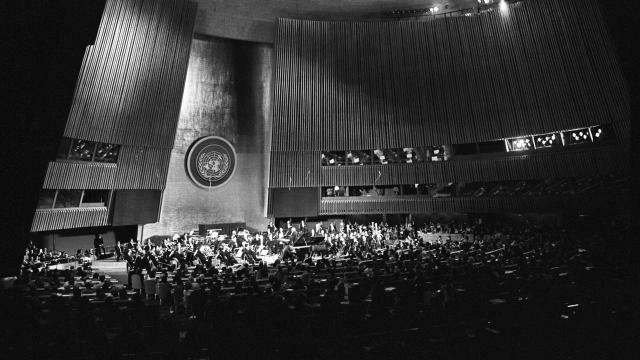 1977 UN Day Concert at the General Assembly Hall in New York: The Philadelphia Orchestra, conducted by Eugene Ormandy, and pianist André Watts. FOR LISTENING PURPOSES ONLY. UN Photo 254083. Wide view of the Philadelphia Orchestra performing during the concert.